Grand Central Publishing, 9781455548347, 272pp. Chris Kriegstein is a man on the move, with a global career that catapults his family across North America, Europe, and Asia. For his wife, Elise, the hardship of chronic relocation is soothed by the allure of reinvention. Over the years, Elise shape-shifts: once a secretive Southern Baptist, she finds herself becoming a seasoned expat in Shanghai, an unapologetic adulterer in Thailand, and, finally, a renowned interior decorator in Madison. But it's the Kriegstein daughters, Leah and Sophie, who face the most tumult. Fiercely protective of each other--but also fiercely competitive--the two sisters long for stability in an ever-changing environment. With each new move, the girls find they can count on only one thing: the consoling, confounding presence of each other. When the family suffers an unimaginable loss, they can't help but wonder: Was it meant to be, or did one decision change their lives forever? And what does it mean when home is everywhere and nowhere at the same time? 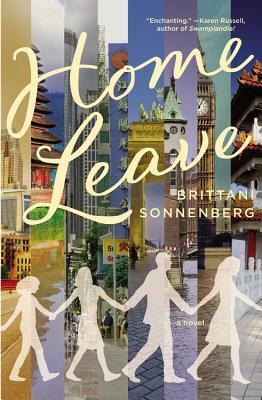 With humor and heart, Brittani Sonnenberg chases this wildly loveable family through the excitement and anguish of their adventures around the world. Brittani Sonnenberg was raised across three continents and has worked as a journalist in Germany, China, and throughout Southeast Asia. A graduate of Harvard, she received her MFA in fiction from the University of Michigan. Her fiction has been published in The O. Henry Prize Stories 2008 as well as Ploughshares, Short Fiction, and Asymptote. Her nonfiction has appeared in Time, the Associated Press, the Minneapolis Star Tribune, and NPR Berlin. She has taught creative writing at the University of Michigan, Carleton College, and the University of Hong Kong. She is currently based in Berlin. HOME LEAVE is her first novel.